The great oak forests that once covered ancient Ireland gave Durrow its name, which comes from Daurmagh Ua nDuach, or the Oak Plain of the people known as the Uí Duach. The Normans adapted that name to Durrow when they founded a borough on the Erkina River in the early 1200s. This small, self-governed settlement was so successful that in 1245, King Henry III granted Geoffrey de Turville, Bishop of Ossory, the right to hold a yearly fair in Durrow, as well as a market every Thursday. The way Durrow looks today is largely due to the Flower Family, Viscounts Ashbrook, who gained ownership of the town in the early 1700s. They built Castle Durrow and granted permits for many of the fine Georgian and Victorian houses that still line Durrow’s streets. Over the next two centuries, Durrow prospered. Stagecoaches rattled over the bridge and stopped at the nearby coach house. Local businesses sprang up, including a brewery, a flour mill, a malting enterprise and a factory that made high quality bricks and tiles. Durrow was hit hard by the great cholera outbreak of 1832, but managed to bounce back and thrive. Years of development meant that by 1926, only a fraction of Durrow’s forests remained. 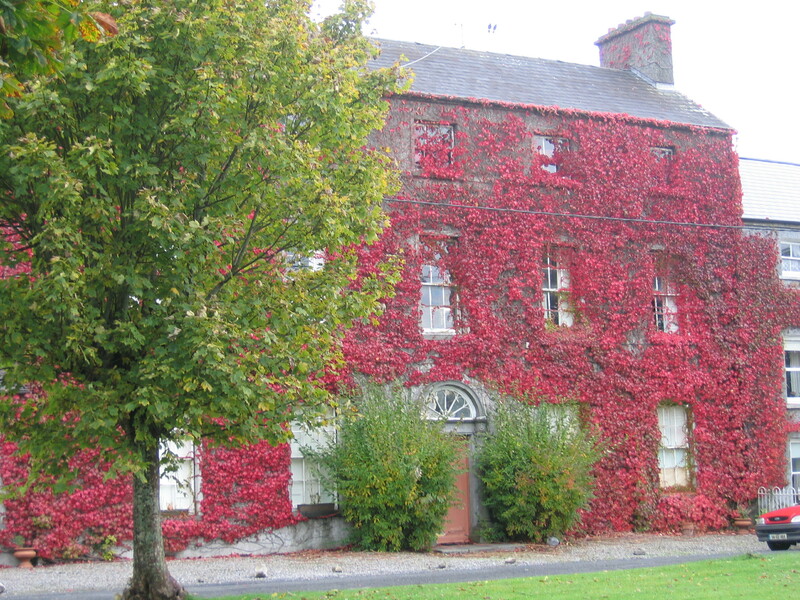 In recent years local people have worked to preserve Durrow’s beautiful setting, as well as its architecture. Today, visitors can enjoy woodland walks as well as strolls down Durrow’s fine streets.